Activision Blizzard Inc. (ATVI.O) sunk to the lowest in two years ahead of fourth-quarter earnings results on Tuesday. The stock fell as much as 7.3 per cent after Benchmark Co. cut its price target to US$68 from US$87, citing expectations for fewer "product catalysts" and uncertainty around contributions from mobile and advertising. 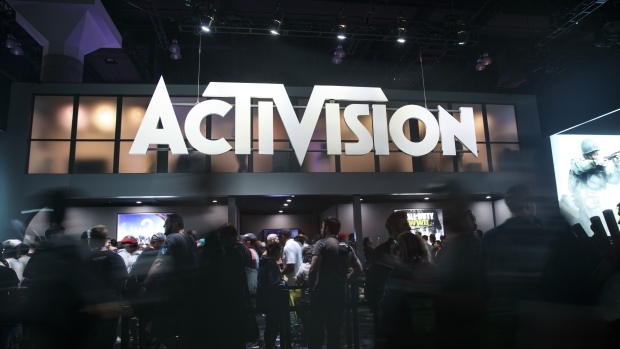 Activision is planning layoffs that could number in the hundreds as part of a restructuring aimed at centralizing functions and increasing profitability, Bloomberg News reported on Friday. The video-game maker’s revenue is expected to decline by 2 per cent in 2019, down from growth of 4 per cent in 2018, according to the average of analyst estimates compiled by Bloomberg News. Adjusted earnings per share are expected to decline 3 per cent in the same period, from growth of 14 per cent in 2018. Rival Electronic Arts Inc. rallied as much as 9.6 per cent on Monday after some analysts praised the company’s latest game, Apex Legends.